At last, saws that will cut bamboo. Field tested here at Bamboo Australia where the saws now available are continually used for the felling and docking of pole sizes up to 175mm. These highly recommended, Japanese manufactured, chrome plated carbon steel blades are taper ground to reduce the risk of jamming. Precision ground razor sharp teeth with 4 cutting angles along the blade provide a faster and excellent discharge of chips for a minimum of effort. Available in several models these pull action pruning saws reduce the risk of personal injury by providing an ease of operation and clean precision cut unavailable with conventional saws. 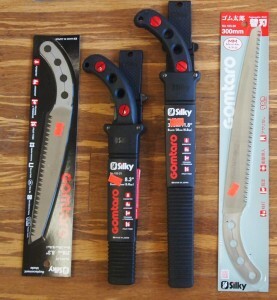 Belt hung protective scabbard is included in the price of both Gomtaro models. Hand crafted multi-blade bamboo hand splitters. 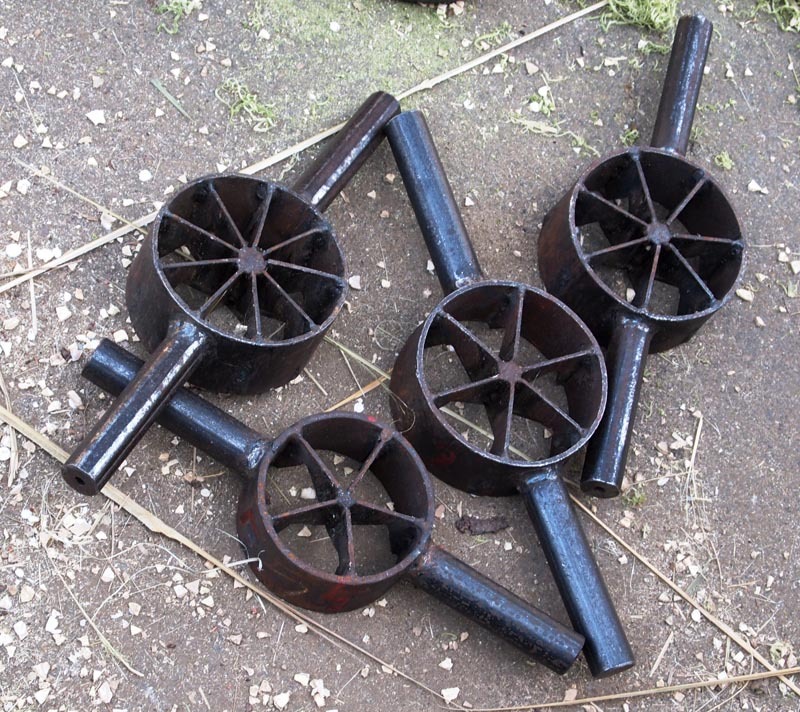 Fabricated by traditional methods in Aozi, China. Easy to use. 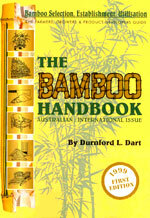 A growers guide written by Durnford Dart, the pioneer of Australian commercial bamboo production. An in depth guide to bamboo selection, cultivation, maintenance and utilisation. An investment for existing and prospective commercial and collector growers. 120 pages – 45 colour pictures. A continuation of the Bamboo Fences Of Japan by author Isao Yoshikawa. 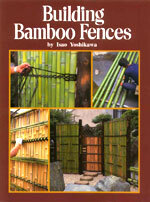 An excellent reference publication for anyone interested in bamboo fencing or Japanese gardens. Loads of sketches and colour showing how to split and construct Medake bamboo fencing. 141 pages with 34 in colour. Covers everything relative to bamboo. The Plant, Flowering, Taxonomy, Ecology, Pests and diseases, Physical, mechanical and chemical properties. Manufacture of Bamboo handicrafts. Treatment for insect and fungi. Rules for improving durability. Manufacturing of bamboo composites. Bamboo construction technology. Houses, walls, roofs, prefab houses. Bamboo culture in America and Asia. 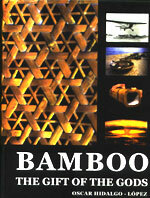 Bamboo in Engineering, Aeronautical, Chemical, Civil, Electrical, Hydraulics, Nautical, Mechanical, Textiles, Weapons. Bamboo in Medicine. 550 pages black and white with multitude drawings and photos. The hand book brings together the practical experience of engineers working in the field, and research programmes testing the properties of bamboo. 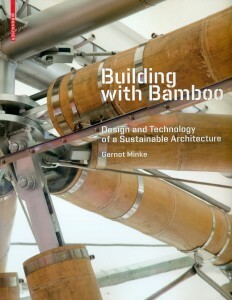 The book shows how bamboo has been used in different designs in developing countries and describes the varying properties and uses of different types of bamboo. The author shows how bamboo can be harvested, seasoned and jointed to form walls, doors, windows, roofs, floors, ceilings, roof trusses, bridges, and how to weave bamboo. 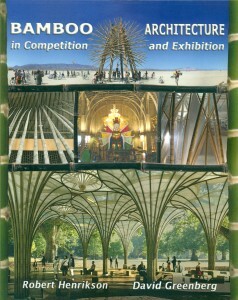 A brilliant new publication that should be in every bamboo enthusiasts and architects library. Based on the The International Bamboo Building Design and 2010 Shanghai World Expo. 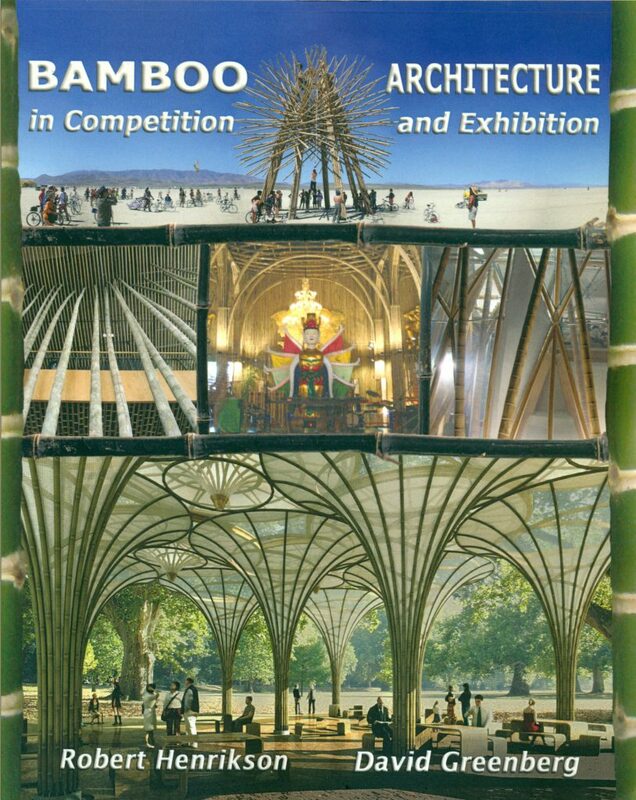 Another brilliant record of exhibits featuring the versatility of architectural designs from around the world and the versatility with bamboo. Amazing technology showcasing the use of bamboo in international designs. Design and Technology of a Sustainable Architecture. 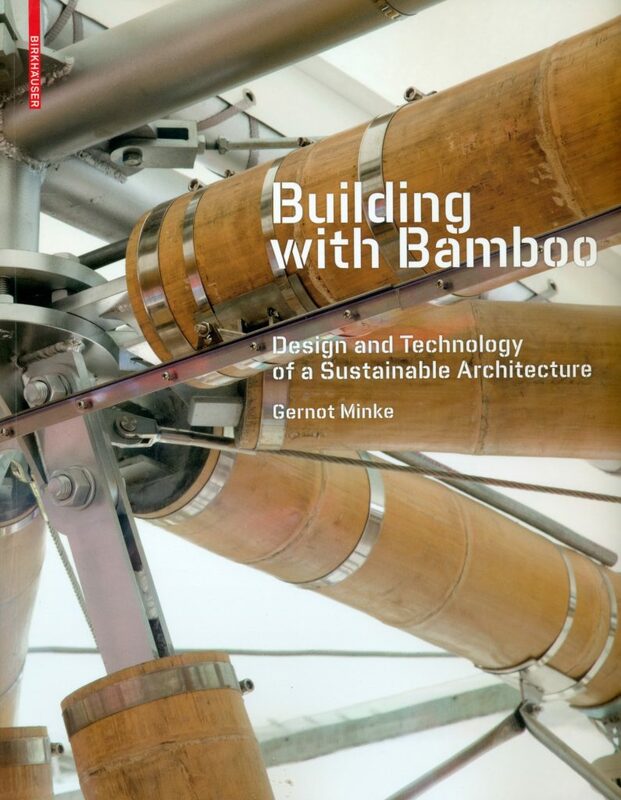 An amazing guide on how to use bamboo for construction and engineering with bamboo. 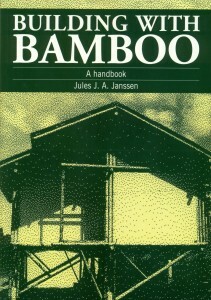 This detailed manual offers a systematic overview of bamboo constructions, ranging from the various techniques of preparing bamboo canes for building purposes to their use in columns and walls, floor slab and roofs, arches and vaults. Thirty-four exemplary international projects, among them the spectacular bamboo pavilions of the 2010 Shang-hai World Expositions, illustrate the wide spectrum of design possibilities with bamboo. Among the building materials of the future, bamboo is particularly promising. It is lightweight, highly elastic and ductile, in addition it offers qualities especially in demand in an era of limited resources, sustainability and abundant availability. This volume explores contemporary architecture and design’s resurgent love affair with one of mankind’s original building materials. Light, strong, flexible and incredibly fast-growing, bamboo is a true super-plant and in construction it is becoming a super-material. 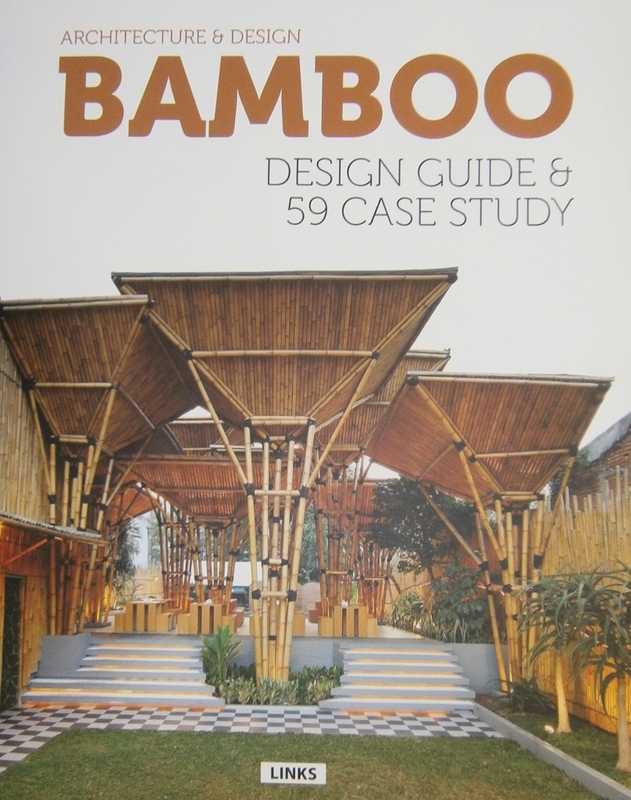 A comprehensive introduction is supplemented by case studies detailing the most beautiful, creative and inspiring bamboo architectural projects from around the world, accompanied by glossy photographs, plans and descriptive texts.